You can receive payments via PayPal using Splynx. Splynx generates invoices for services that are sent to customer’s email and to Splynx portal. From Splynx portal customer can pay the invoice using Paypal. When customer clicks the PayPal button and applies to pay now, he is transferred to the PayPal page to make the payment. 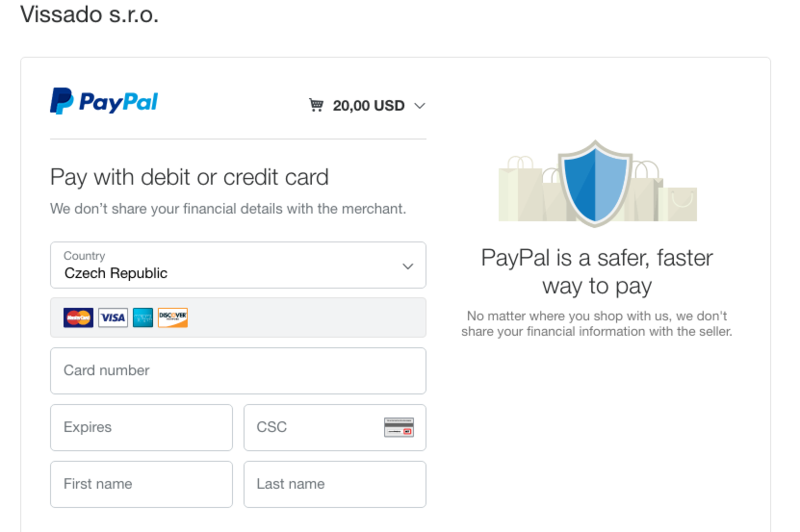 Customers can also add a credit card on PayPal payment webpage, if they don’t have a PayPal account. After payment has made, the invoice is marked as paid, transaction in Splynx is created and customer’s balance is changed. Activate developer’s tool in your PayPal account. ClientID and ClientSecret are the values Splynx needs. Click on Add new Rest API application, call it Splynx. Then, you can find ClientID and Secret on the page of application. Important is to choose “Live” version, because it shows values for test Sandbox account by default. When you got the ClientID and Secret, you can put it to Splynx server and connect Splynx with PayPal. Configure Splynx to work with your PayPal account. for each partner you can use own settings! Also on this page you can enable widgets for the customer portal.